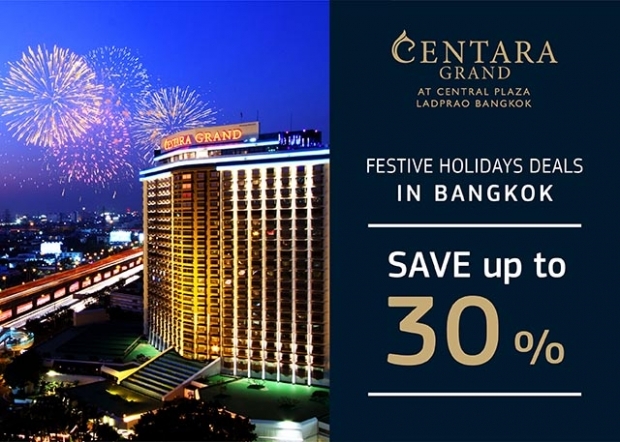 Make your festive holidays in the city more special with our great promotions at the luxurious Centara Grand at Central Plaza Ladprao Bangkok. You’ll adore the hotel’s rooftop bar with stunning city vistas and its 5 restaurants presenting the flavours of Thai, Chinese, Vietnamese, Japanese and Italian cuisines. 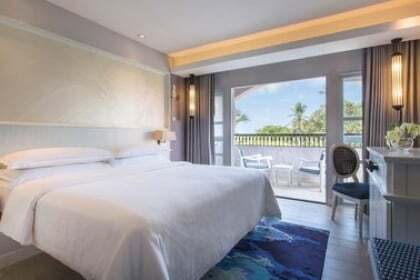 Fitness, pool, garden and spa facilities will help you relax and rejuvenate. 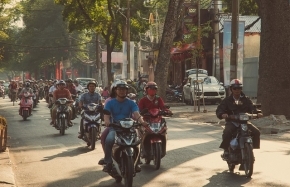 You’ll stay right next to world-class shopping and mass transit access to the entire city. Simply book before 31 December 2017 and stay any time between now and 15 January 2018. 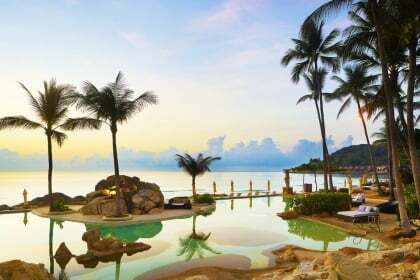 You’ll enjoy exclusive discounts of up to 30% and a host of privileges including free Wi-Fi. If you’re a member of our CentaraThe1Card programme you will earn an additional 10% discount. If you're not yet a member, it only takes a few minutes to sign up. It’s free, and you’ll find out about other great member benefits. 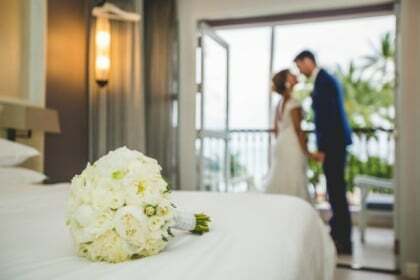 For more information or for further assistance with your booking you may contact our reservation centre at reservations @ chr.co.th at +66 (0) 2101 1234 or via our live chat. 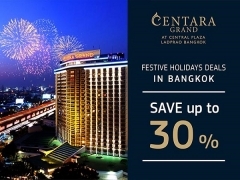 Check out Centara Grand at Central Plaza Bangkok for more details about this offer and to book your accommodation now!